Another year in the books lands me at “this is 34.” I suppose 34 feels about right. Old enough to have figured out who I am and smart enough not to make the same mistakes twice. Young enough to have so much to look forward to and plenty of time to improve life and make mistakes I’m sure I can’t even fathom at this point. I feel happy, grateful, hopeful. Ready to put the year of 33 and 2016 behind me and start anew. It will be official when the calendar ticks forward to 2017 in a few weeks, but I always feel like the holiday birthday is a jump start on what’s next. A few weeks to get cracking on personal projects that I’ve delegated to myself. Free time, if you will. Before completely looking ahead, I am happy to look back on the most wonderful birthday weekend full of family and friends. And cakes. SO. Much. Cake. Friday started with stunning flowers from the bestie. She always finds the best blooms. Followed by lunch, mani/pedis, and some light shopping with the Mum. Then, some of my Raleigh mates came by for champs and the lovely colleague-turned bestest brought me the most beautiful birthday cake I’ve ever seen. We went out for a few cocktails and found ourselves napping (in a bar) in a post-cake coma. Live life on the edge! Nap in public! A late night flight brought my Gentleman in from Texas. I entertained him with exotic meats and cheeses. The next day brought family celebrations with this beauty as the show stopper. 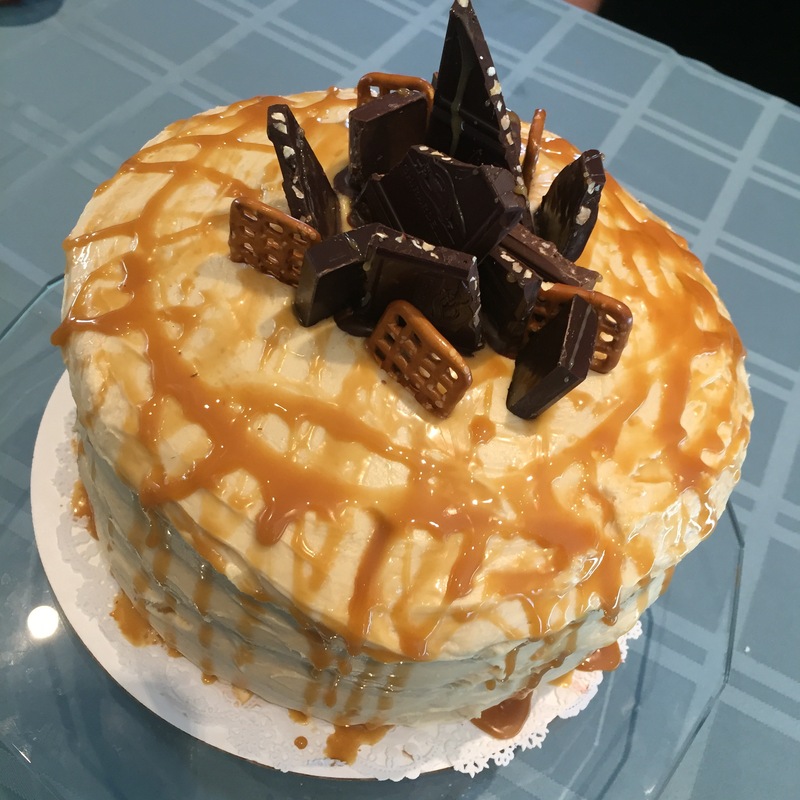 That’s a chocolate cake with carmel butter cream. Mum made me take the entire thing to go. Damnit, pants…. A nice dinner and night cap at a Jazz club and that’s about all she wrote. 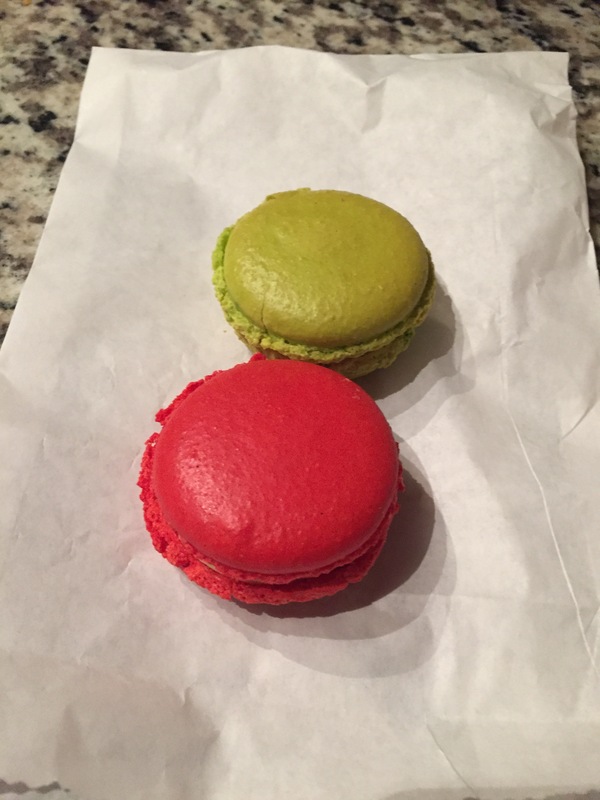 I returned my Gentleman to Texas the next day and promptly found a new macaron company in Raleigh to numb the pain. That’s pistachio and red velvet from Shaya’s Sweets. Can’t wait to see what’s up next on the journey 😉 Thanks for celebrating with me!